It is our policy to ensure that planners, faculty and content are independent of commercial bias. Dr. Marvi states he has no financial relationships with commercial interests to disclose. 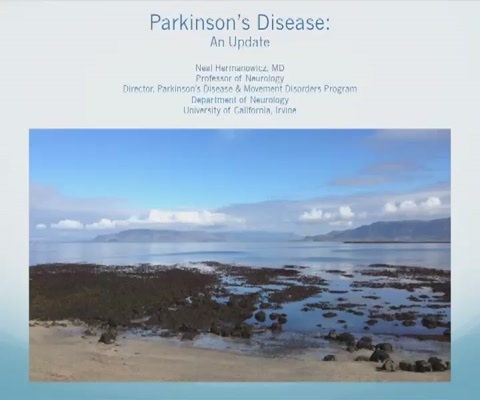 Dr. Hermanowicz discloses he is involved with clinical trials, consulting, speakers bureau, and/or employment: with Acadia, Adamas, Allergan, Cynapsus, Eli Lilly, Global Kinetics Corporation, Huntington Study Group, Parkinson Study Group, Pfizer, Teva, UCB, and UCI. It is our policy to review presentations ahead of time in order to resolve any potential conflicts of interest. No conflicts were identified in the review of today’s presentation.